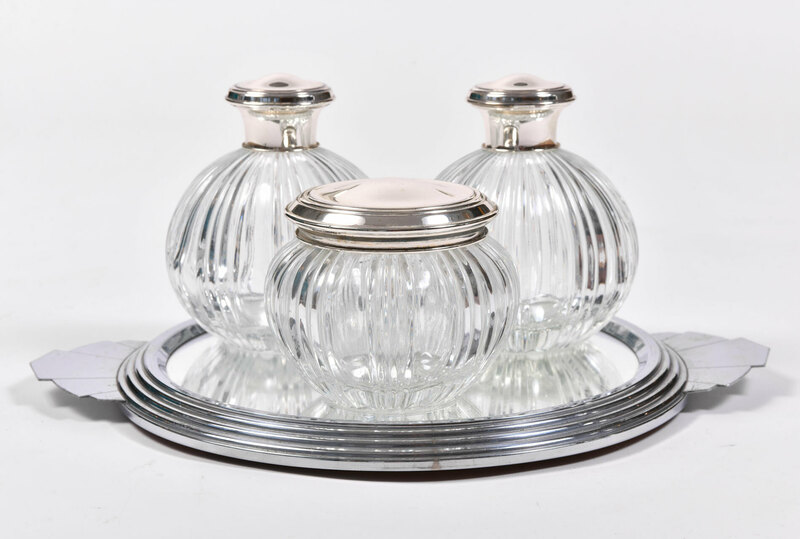 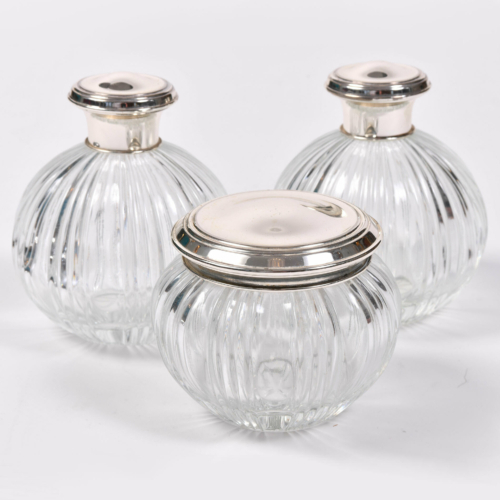 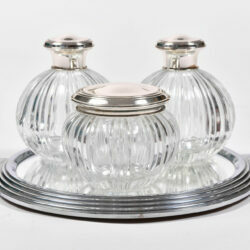 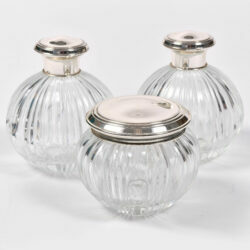 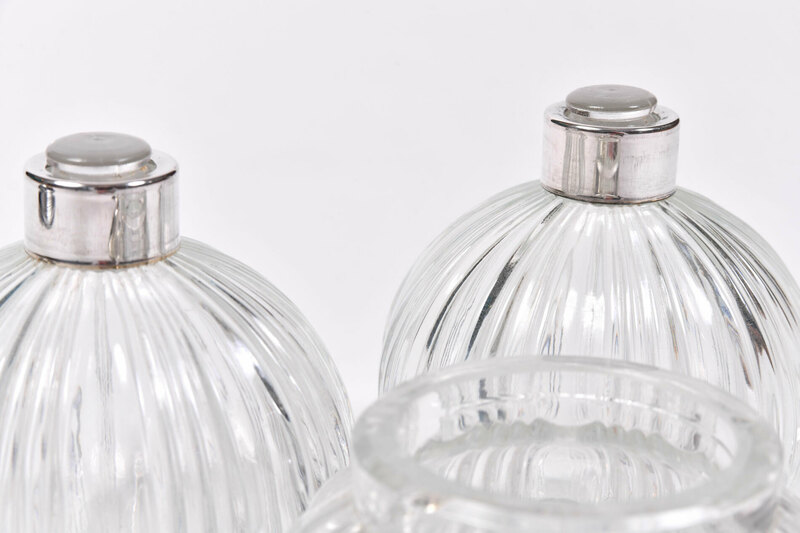 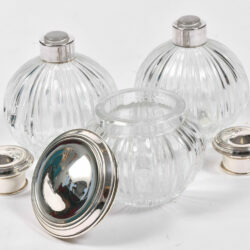 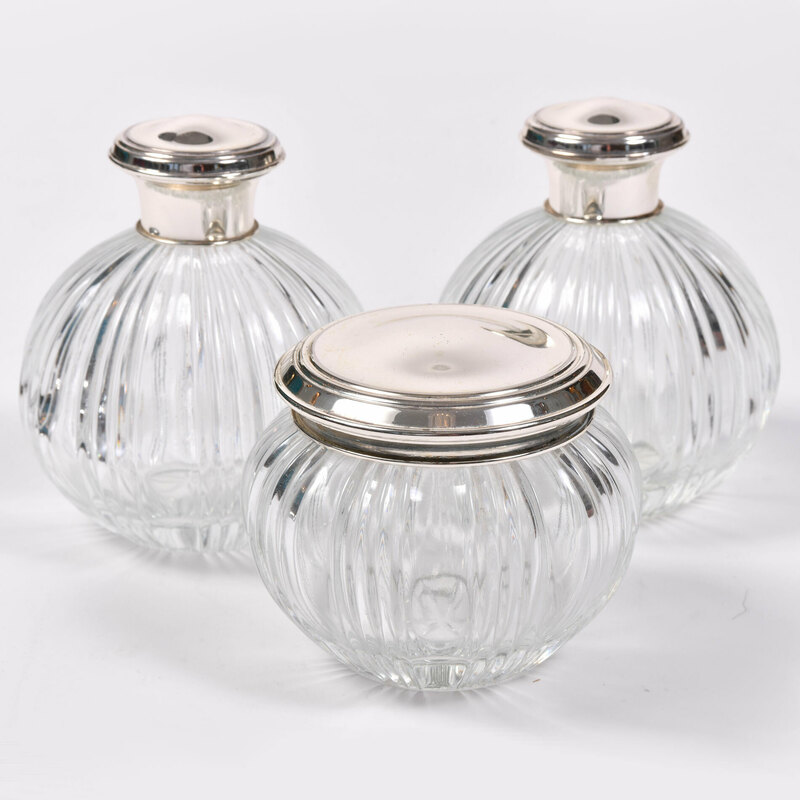 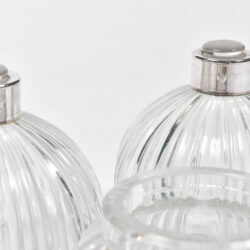 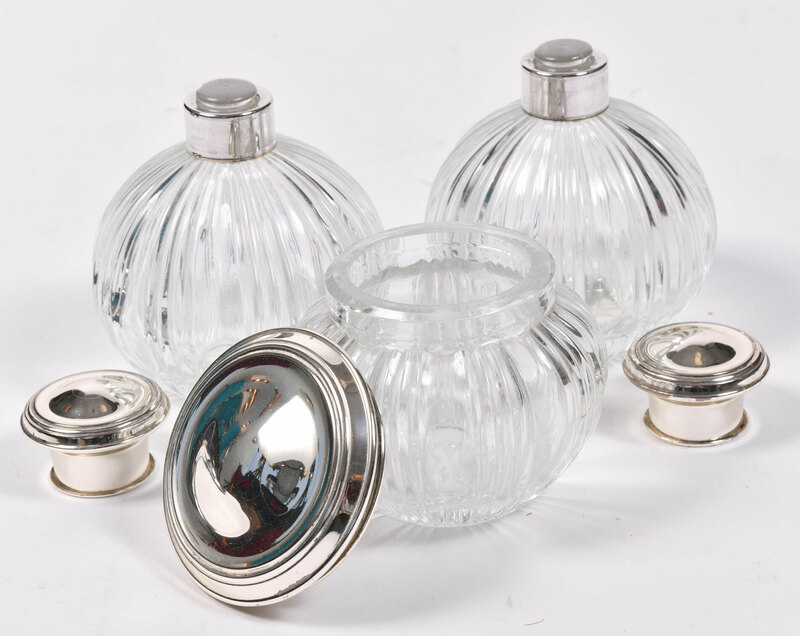 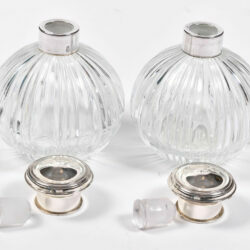 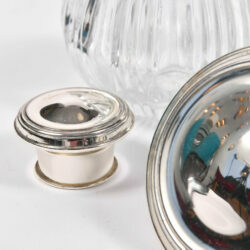 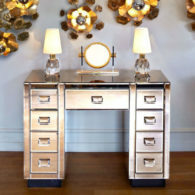 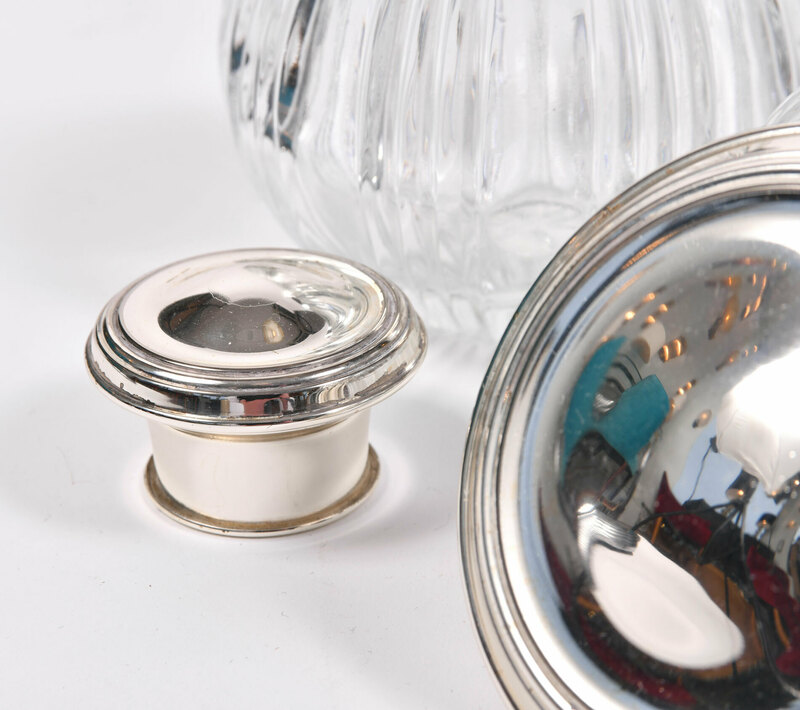 Three piece silver topped dressing-table set comprising of two ribbed cut-glass scent bottles and one ribbed cut-glass jar. 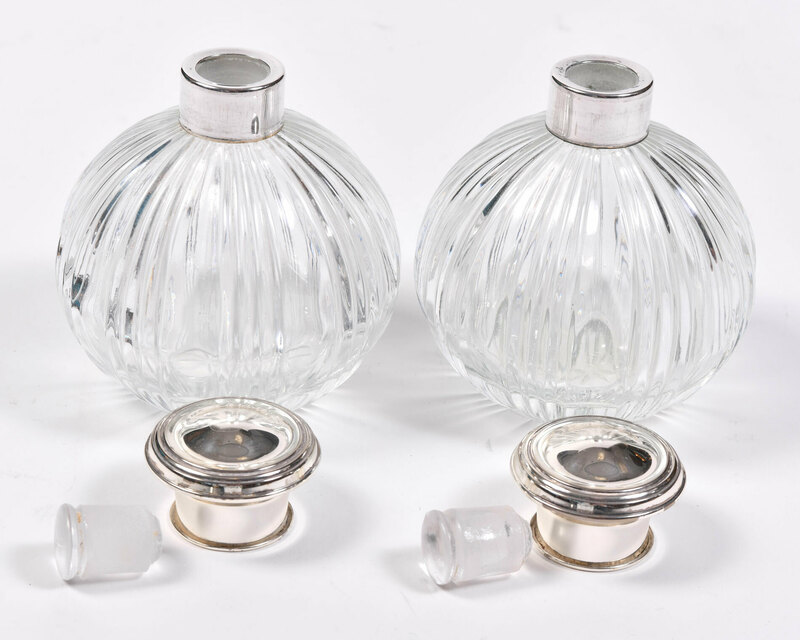 Original stoppers. 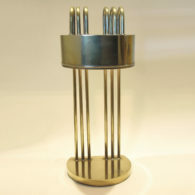 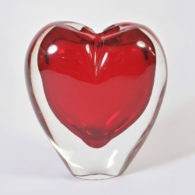 Etched design to base.